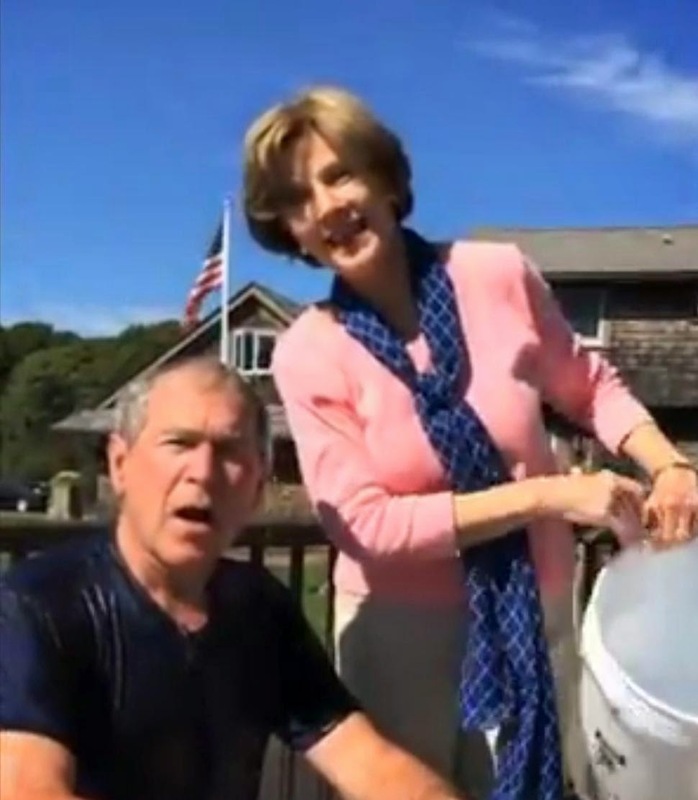 Laura Bush emptied a white laundry bucket over her husband's head to raise money for ALS research. Now the 43rd President wants Bill Clinton to join him, after President Obama refrained from taking part and chose instead to write a check. 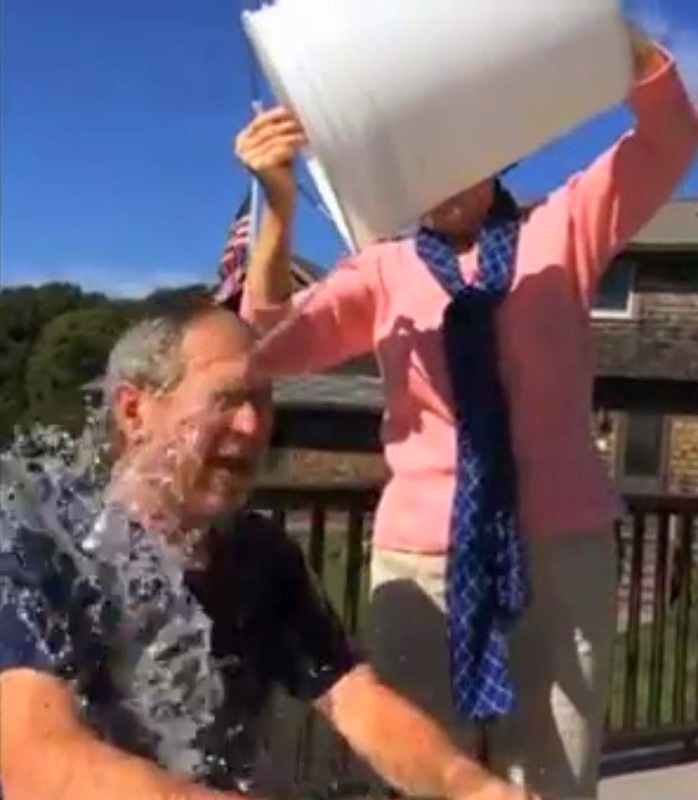 George W. Bush took a chilly one for charity. With the help of his wife and daughter, W. was doused with ice water to raise money for ALS research and now he wants Bill Clinton wants follow suit. Bush’s daughter, “Today” show correspondent Jenna Bush Hager, staged the stunt with her mom, Laura Bush, giving Bush an icy baptism on the NBC show Wednesday morning. But the shower came after the President’s initial protest. “To you all that challenged me, I do not think it’s presidential for me to be splashed with ice water,” he said, after President Obama opted out of participating in the viral effort even after the Kennedy clan called on him to take part. “His contribution to this effort will be monetary,” the White House said of Obama on Aug. 13. Bush tried to follow Obama’s example, but to no avail. 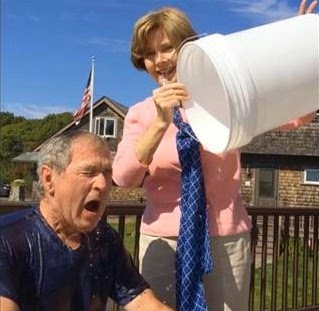 “I’m simply going to write you a check,” Bush declared, moments before Laura Bush emptied a white laundry bucket over his head. After he recovered from the frosty deluge, he called for his White House predecessor to step up to the bucket. 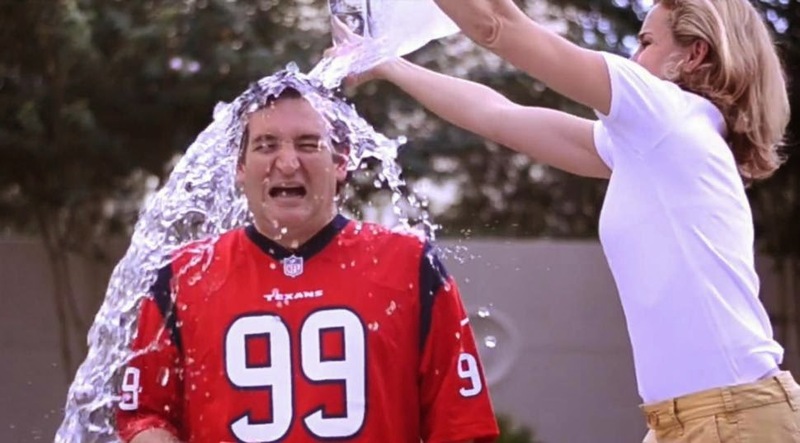 “Now it’s my privilege to challenge my friend Bill Clinton to the ALS challenge. President Clinton’s team did not respond to a request for comment. husband take the challenge for charity. Later Wednesday morning, Texas Sen. Ted Cruz (R) also took part in the effort, at the urging of his friends at the Second Baptist Church in Houston. The ALS Ice Bucket Challenge, made popular in the U.S. in June, has raised $22.9 million so far for amyotrophic lateral sclerosis — which is also known as Lou Gehrig's disease. Scores of celebrities, including Rob Ford, Bill Gates and multiple Hollywood stars, have also taken the challenge.